Families from rural Quneitra are displaced, seeking shelter in open areas and camps. 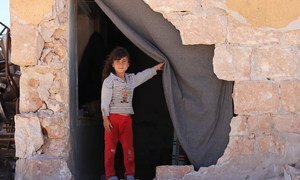 An estimated 140,000 people remain displaced across south-west Syria, in need of safe passage out of the area. After close to three years of siege, 6,900 women, children and men were finally able to leave the Syrian towns of Foah and Kafraya over the past few days, following a local agreement between parties to the conflict.